Upon returning home from a trip, small town doctor Miles Bennell (Kevin McCarthy) begins to suspect something is wrong. Whilst he was away, his nurse/receptionist informs Miles that he had a waiting room full of patients who all refused to tell her what was wrong, but now all these people are suddenly fine and well. Others complain that people they know aren’t whom they seem to be. On the outside everything looks fine, but there’s a feeling that something is missing. Then, one night whilst catching up with Becky (Dana Winter), an old flame back in town for the first time in 5 years, Miles is called out to an emergency. 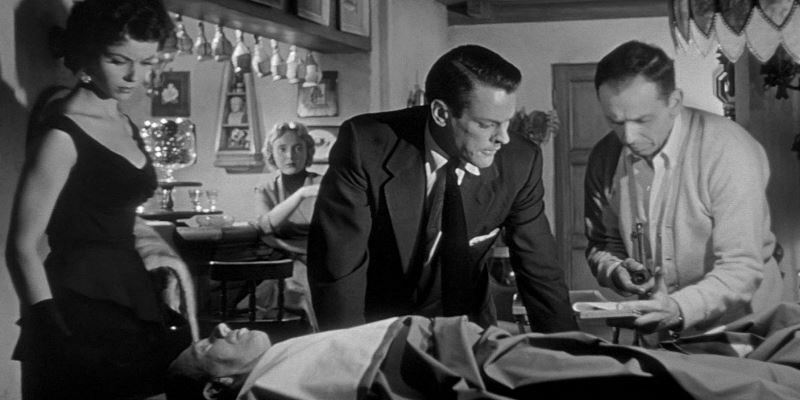 Friends of his, Jack and Teddy (King Donovan and Carolyn Jones), have found a body that seems to be in the process of forming an exact copy of Jack’s. Dun dun-duuuuuuuuun!